Discover the different options that Argentina Wine Hotels has for you. We offer full packages for short as long periods. Also it can be incorporated to the program products as Golf and visits to wine cellars or tastings. • Wine Tour Half Day & Lunch "Luján de Cuyo"
• Wine Tour Half Day "Luján de Cuyo"
• Wine Tour Full Day "Valle de Uco"
Your host will pick you up from your hotel. First, we visit and taste wines at Tapiz winery. There we will start by visiting the vineyards and finish in the winery tasting wine straight from the American and French oak barrels to learn the difference. Then we go to visit and taste wines at Achaval Ferrer winery, known for the elaboration of some of the most prestigious wines of Argentina. Our next stop will be at Ruca Malen winery. There we will taste their wines in a lovely room to end with a lunch facing the magnificent Los Andes mountain range. And finally, we will visit and taste Carmelo Patti winery, where we’ll be received by Carmelo himself, one of the most remarkable winemakers in Argentina. Return to hotel. Important: Wineries subject to availability. Your host will pick tou up from the Hotel in the morning. First visit and wine taste at Benegas winery, there we will enjoy the real wine tradition of Mendoza because the construction is from the XIX century and still has the characteristics of those times. We will taste the wines in a specially prepared room. Visit and wine taste at Domaine St Diego winery, which belongs to one of the most famous enologists in Argentina, Angel Mendoza, and we will be received by the owners. Visit to Melipal winery, a modern Boutique Winery, that elaborates exclusively the Malbec varietal, wine taste in a special room and then lunch with an amazing view of the Andes range. In the afternoon visit and wine taste at Finca Decero, modern winery that elaborates high quality wines like the Petit Verdot. Return to the hotel. Important: Wineries subject to availability. 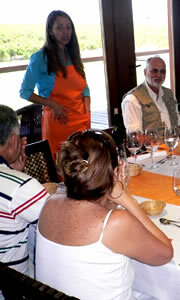 Wine Tour Half Day & Lunch "Luján de Cuyo"
Your host will pick you up from the hotel. We visit and taste wines at Viña Cobos winery that belong to the prestigious winemaker from Californai, Paul Hobbs. You would have the opportunity to taste Felino and Bramare wine line. Our next stop will be at Finca Decero. You would taste from the oak barrels. During the lunch, you would taste the different wine lines. Important: Wineries subject to availability. Wine Tour Half Day "Luján de Cuyo"
Your host will pick you up from the hotel. We visit and taste wines at Decero winery, a modern winery, with excellent wines. Then visit and taste wines at Catena Zapata winery, one of the most famous wineries in Argentina. Wine Tour Full Day "Valle de Uco"
Your host will pick you up from the hotel. Visit at Pulenta Estate winery, where you will enjoy an excellent tasting. Then we go to Andeluna, one of the most beautiful wineries, with the best view to Los Andes Mountain. At lunch time we‘ll visit Altus winery, where we’ll have the pleasure of enjoying a most delightful meal at “La Tupiña” an old house specially designed to receive guests. Your host will pick you up from the hotel in the morning, and you can choose to visit one winery previous to the cooking class. This program has been prepared for those people who want to explore and learn the secrets of Argentine Cuisine. The chef, who will be exclusively with you, is going to tell us also about the traditions and customs of this culinary art, right as we taste wines of the winery. Learn Argentine grilling techniques, and special ways to prepare beef, lamb, pork, chicken, rabbit, and goat. Also the typical Empanadas (make the dough and filling, and how to put it all together). It is very important to know that in this exclusive class, you do not only watch but you also have the chance to participate in the cooking process. 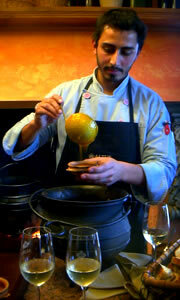 Besides, in order to complement the food, the chef is also teaching how to pair wine and food. Wine Tasting Experiences are certainly the best way to learn quickly about wine while at the same time enjoying the great pleasure of tasting high quality wines Each class is conducted by a sommelier. After the tasting, we will enjoy a fantastic meal. 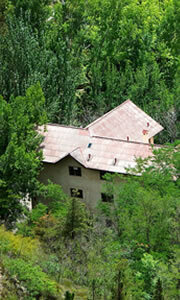 We leave the hotel and head to Luján de Cuyo. If this option is chosen in the morning or in the afternoon, we visit a winery first. After that we go to Cava de Cano, a restaurant with a cellar and a small winery. There an expert sommelier awaits us for a special private tasting that may be of a same varietal but from different harvests (vertical wine tasting) or of different varietals (comparative wine tasting). After the tasting we delight with a very nice gourmet meal in the form of an Argentine Picada (see menu below), paired with wines of the winery of the house. Return to hotel. This tour is an introduction to the exciting world of wine, a unique experience. We go round to different places in the city, in relation with wine. First we will be visiting a tasting room located in Mendoza city, called The Vines, for a Sensory Tasting. 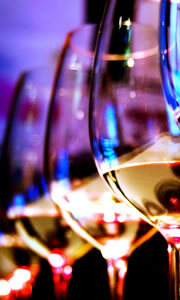 It consists in learning about different varietals and their characteristic aromas. Our next stop will be Winery, one of the best wine stores of the city. There we’ll have a special tasting paired with the exquisite “tapas”. We will visit local artist’s atelier getting in touch with the artists, meeting them in person, getting to know their places of work, discovering their world. We will be visiting different ateliers, being able to choose your favorite styles beneath a huge range of artists depending on each person’s taste. You will be surprised by the mendocinian art. Availability: Morning and afternoon. Every day. 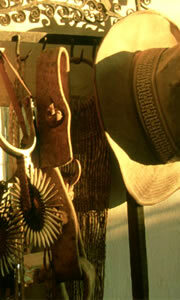 Include: private transfer, visit to 3 artist’s ateliers, and technical guide with special arts knowledge. 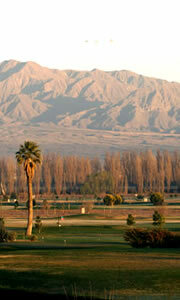 Enjoy a golf day at one of the most exclusive Golf Clubs in Mendoza. We will pick you up at the hotel. Transfer to the Country Club. Private caddie and clubs. Availability: In the morning or afternoon. Every day except Monday. Afterwards we will see the pedestrian with several coffee shops where many local people meet at midday, before the “siesta”(typical for Mendoza). Walking along the main street, San Martin, we will get to the old part of the city. We go back in time, by visiting the foundational area, (Mendoza was founded in 1561 by Pedro del Castillo) and the museum. A major earthquake devastated the original foundational area in 1861, being afterwards rebuilt and moved to the west, where the new Mendoza is nowadays. The destruction of the city caused the implantation of more trees and squares that serve not only for a better safety but also for a better quality of life and gives Mendoza the characteristics of an oasis. Passing through the forged iron gates, imported from Scotland for the Centenary, we access the vast and beautiful General San Martin Park. The park was designed by French landscape architect Charles Thays, inaugurated in 1909 and expended with a Zoo in 1940. Since then it has been the most important oasis and lung for the city of Mendoza. Going up a lovely road next to the Zoo access, we will arrive at Gloria Hill. From Gloria Hill, which will be the last spot of our tour, we can see the Frank Romero Day Amphitheater, where the final show of the Vintage festival takes place. An amazing trip thought the Cordillera de los Andes, going along the Mendoza River There we will visit Potrerillos Valley with its dike and the beautiful mountains that surround the valley. The mountains already show thousand of colors from the different geologic folding that created the Andes. There are a lot of colors given by the sandstones and clay We will also stop at Uspallata Valley and Puente del Inca natural formation. Here you can admire a geological wonder. Over the years the river has carved into the mountain forming a natural bridge, the glaciers started to return leaving only water, that water encrusted into the cracks, then the water started to mix with the several minerals. Our point of return will be 15km from the border with Chile, where we will appreciate the view to the Aconcagua (with 6959 m above the sea, the highest peak of the Americas). For the people who would like to trek, we offer a route beginning at the international route to Chile and finishing at the Horcones Lagoon, in the Aconcagua Provincial Park. 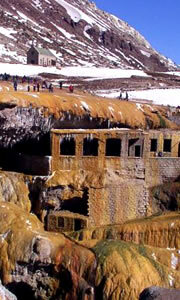 This trekking tour lasts approximately 1 hour. 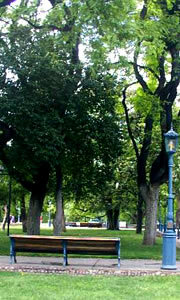 * Option 1 (only in spring and summer) - A gourmet picnic. Along the route we choose a place of our preference either next to a mountain or to a river, always surrounded by the amazing Andes Mountain Range. * Option 2 (all year round) - This option does not include lunch and you have the chance to choose the restaurant you would like to have lunch.